Truckers Logic covers every aspect of the trucking industry. We’re always looking for writers with experience in the trucking industry. Truckers Logic was founded by Spencer Jensen, a veteran truck driver with years of experience. 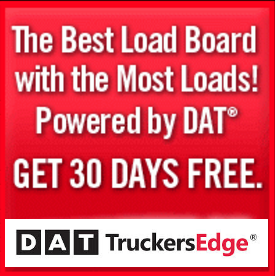 We are one of the fastest growing trucking platforms in the world. Our platform is a great place for trucking writers to have their voices heard. This is an opportunity for you to begin to make a name for yourself, your trucking business and/or your trucking company. Truckers Logic was built to give every truck driver an opportunity to get beneficial truck driver training for free. It doesn’t matter if you’re a 15 year veteran or someone thinking about a truck driving career, everyone benefits from our trucking platforms. Writers just like you are the lifeline of our website and the staff at Truckers Logic enjoys reading all the stories that are submitted. Why write for Truckers Logic? One of the main reasons that truck drivers write for us is to promote their business and products. We don’t mind that you do, as long as it can be a benefit to our readers. Although there’s restrictions and all articles are moderated, we do allow you to promote your business as long as it’s beneficial to everyone. We’re all about helping one another and this is one of the perks that are trucking writers get. Another benefit of writing is the fact that we don’t charge to submit an article and build links to your website. While we do have paid article submissions in our marketing and advertising packages, you’re no required to pay us to submit your article. If you go to other trucking websites, you’ll be lucky to even submit a trucking link and few allow free hosting and article submissions. Again, we give you and your trucking business a platform that is growing daily. Another benefit, we already have a target audience. When you submit your article, it’s already in front of a trucking audience, one that continues to grow globally. If you want to take advantage of this great opportunity, sign up for free today, submit your article and start reaching a larger audience. Make sure you choose the right name for your profile. We don’t mind if you use your trucking company or a nick name, but please keep it clean. The same goes for your content. We reserve the right to refuse the content of anyone, for any reason. Our platform is to benefit truck drivers. All of our published articles and press releases have a total reach well over 25,000. Our featured writers can earn income based on the performance of your articles. It cost absolutely nothing to write for Truckers Logic and you can start to earn money with your first article. Just sign up for your free account today and publish your articles. If you have any questions, please use the contact page to reach out to us and we will do our best to assist you. We accept a variety of different topics and subjects writers. Anything related to the trucking industry will be accepted. We also cover the automotive industry. Any companies that offer products that drivers can use will also be considered. And if you don’t see a topic, ask us to add it. We’ll consider all offers.